Several years ago, before starting my blogging career, I used to assume that setting up a website might be quite difficult. I thought it required some coding skills, but I was wrong. 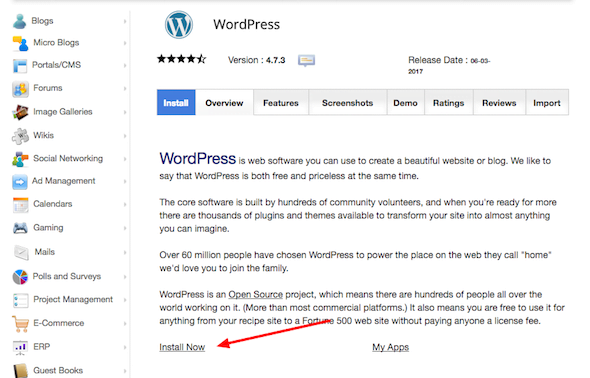 Starting a website or blog with WordPress is as easy as installing an app. If you’re wondering how you can start professional blogging with a domain name, then you’re at the right place. In this post, I’ll try to provide step by step guide to start a simple minimalist blog with WordPress. Which WordPress I’m talking about? I want to explain this because many people get confused with it. 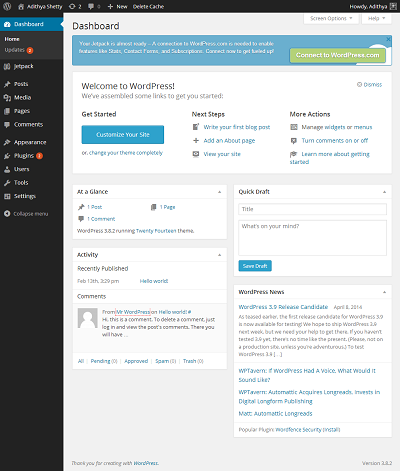 WordPress.com is a free blog hosting platform just like Medium, Tumblr, Blogger, etc. 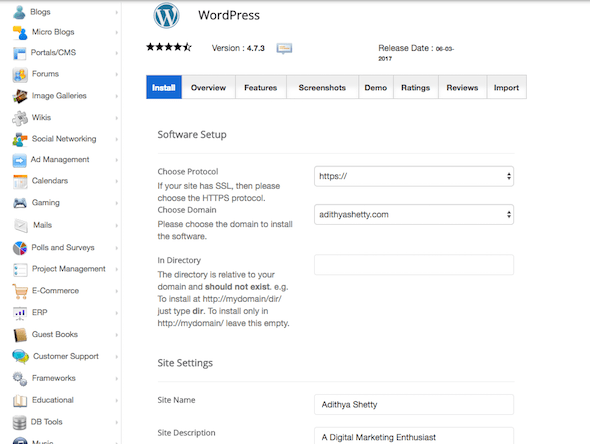 WordPress.org is an open-source content management software (CMS) that you can install on your own server and start a website/blog on your domain. This blog that you’re viewing right now is running on this software (CMS). Before I answer this question, I need you to tell me this; “How serious are you about blogging?” Are you looking to start a writing career? Thinking to get clients? Or you just want to start a blog as a hobby? I’ll tell you how I got into blogging; a few years ago I started a cricket blog on Google’s free platform called Blogger, just out of a passion for that sport. But today, I’m a full-time blogger who makes a living from blogs. So if you’re looking to start a blog to express your writing hobby, then start with a free platform like WordPress.com or Medium. But if you’re serious and willing to spend around $100/year (domain and hosting), then read the rest of this article. 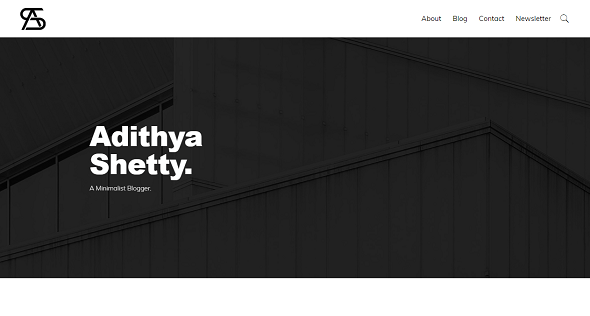 If you’ve noticed, my blog is very simple in design, doesn’t contain Ads, sidebar or popups. I like to keep things minimal and help readers without irritating them. With a self-hosted WordPress, you can start any type of website: Photography, eCommerce, Magazine, Portfolio, etc by just changing a theme. In this tutorial, I’ll use my blog as an example to show you how to create a Minimalist WordPress Blog. Domain name: Domain name is your identity; just like your mobile phone number, it should be unique. Example: www.YourName.com or AdithyaShetty.com (this blog). Where do you get the domain name? Well, you just register your domain name from domain registrars like Godaddy or NameCheap. It’ll cost just around $15/year. Web Hosting: Web hosting is a space on the web that you need to buy, just like how you need a Land to build a home. 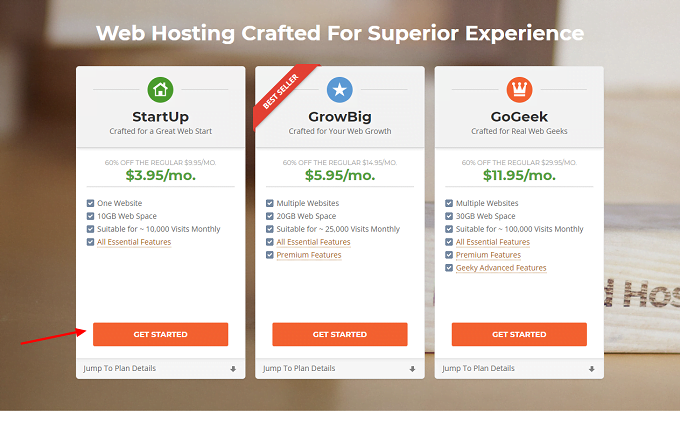 Where do you buy the web hosting? 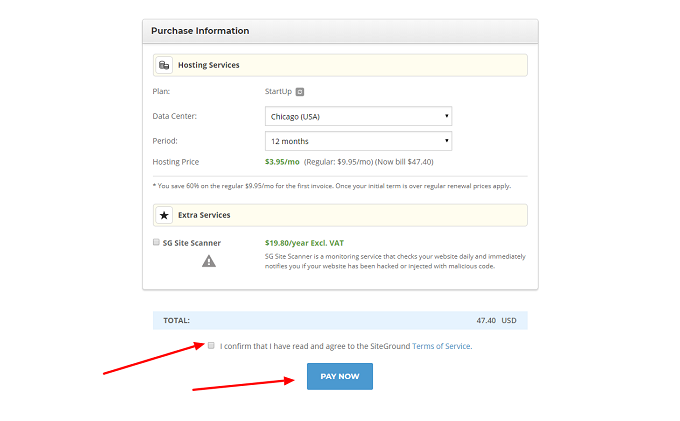 There are many hosting companies but in this example, I’ll use SiteGround because this blog is hosted on it and I recommend them as well. Okay, after you’ve registered your domain, the first thing you need to do is buy a web hosting plan. As I mentioned, there are many good hosting companies and even domain registrars like Godaddy themselves offer some cheap plans as well. But Here’ll show SiteGround to explain the steps. The procedure will be the same for any other hosting companies. Here you will see some discounts on all plans. Now choose a basic plan called StartUp and click Get Started button. Now you’ll land on a new page where you can register a new domain or enter an already registered domain name. Enter the domain name and click Proceed. Now you’ll be redirected to sign up page. Fill out the contact, payment information and review all your details. don’t click any unwanted add-on services. After thoroughly reviewing, click the PAY NOW button. That’s all. Your hosting purchase is complete. shortly you’ll receive an email from SiteGround containing your cPanel (control panel) information. After getting the web host, you need to connect your domain to the server to get your website online. 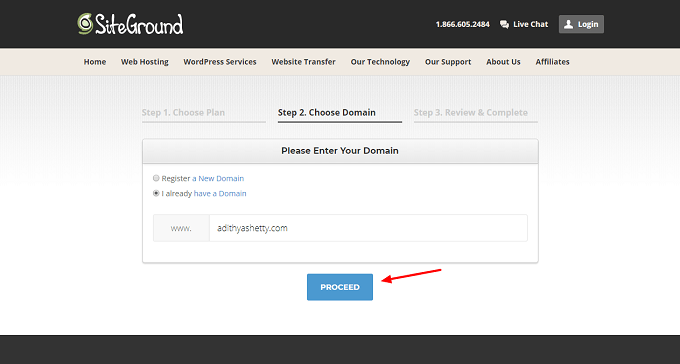 If you’ve registered a domain name with the same hosting company, you can skip this part. Okay, so to connect your domain with your host, you need to copy the NameServers from your hosting account. Usually, it’ll be in the email that you receive from the hosting company. You can also ask their support team to do it. Once you’ve connected your domain and hosting together, it’s time to install WordPress. Follow these simple final steps to start a minimalist WordPress blog. Login to your hosting cPanel, scroll down and find WordPress Installer or WordPress and click it. You’ll be taken to a new page. Click the Install Now button. Now you’ll reach a page where you should fill out the details like Site Name, Site Description, email, etc. After filling all the details, click install for the last time. That’s it. You just successfully created a new WordPress Blog. Log in to the WordPress dashboard with the password and username you set. It’ll look like this. How to Make your blog look Minimal? New WordPress blogs will have default basic theme installed, but you can change it with a couple of clicks. There are thousands of free themes in the WordPress Theme Directory that you can choose from or you can buy some premium WordPress Themes. On this blog, I use Monochrome Pro Theme by StudioPress, many of you might find this theme little expensive but it’s very good for a minimal blog. You can find some free minimal themes here. Please note that this post contains affiliate links, which means I earn some commission if you purchase any hosting plans or buy any premium themes using my links. However, I only promote quality products which I use or familiar with. Above I’ve shown an easy way to Start a Minimalist Blog With WordPress within 15 minutes. If you’ve any doubts or need any help, feel free to contact me here or find me on Twitter.